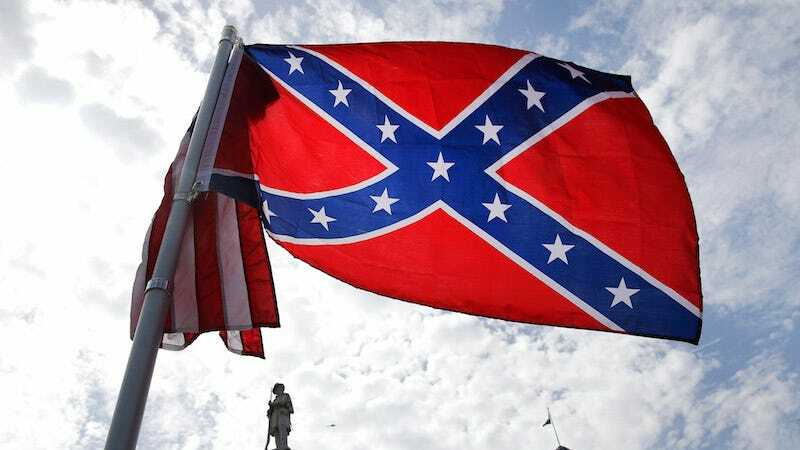 The Southern Baptist Convention, the largest Protestant denomination, voted on Tuesday to discourage the display of the Confederate battle flag. The decision comes after an annual meeting held this year in St. Louis, where, according to the St. Louis Post-Dispatch, leaders held candid discussions about race and the church’s role in racial unity. Founded in 1845, the SBC was the result of a split in the Baptist church over slavery. The “Southern” in the SBC’s name denotes a historical, if clear, affiliation with the pro-slavery South. The SBC split again after the Civil War, when free blacks left the SBC to form their own competing groups less defined by segregation. Indeed, the SBC’s history of racial division continued well into the 20th century, with many in the church supporting segregation. “The church was the last bastion of segregation,” historian Wayne Flynt told the Economist in 2015. But the SBC called for “racial unity” at their most recent convention; leaders addressed Michael Brown’s shooting death in Ferguson, as well as the murder of nine parishioners at the First Baptist Church of Charleston by a white supremacist. Blalock’s words were echoed by Ronnie Floyd, president of the SBC, who told the group that, “Racism is a major sin and stronghold in America.” Though it should be noted that Floyd also wondered why there hasn’t been a national conversation about race—speaking, perhaps, to one of the many reasons that the SBC has seen its membership numbers drastically decline in the past decade. But an acknowledgement is likely a good place to start. Though the resolution is nonbinding, member churches generally abide.